Broadcast only once – or at most twice – in a time before on-demand, catch-up or the video recorder, most of the drama made for British television up until the early 1980s has lain unseen for decades. Since 2013, the AHRC-funded ‘History of Forgotten Television Drama in the UK’ research project at the Department of Media Arts, Royal Holloway, University of London, has sought to explore the history of forgotten and critically neglected television drama. Following two series of Forgotten TV Drama screenings at the BFI Southbank, London, and screenings in Belfast, Birmingham and Manchester, the project is delighted to be involved in the launch of a new DVD series of Forgotten TV Drama in partnership with the DVD distributor Network. Selected and curated by the research team – Dr Lez Cooke, Professor John Hill and Dr Billy Smart – the collection will make a wide selection of unseen titles from the ITV archive available once more. The range aims to encompass a broad spectrum of plays, both series and serials, comic and tragic, realistic and fantastic, film and videotape, lavish and intimate. The Frighteners is an important series with its own distinctive style and ethos. It succeeds in telling stories that can still disturb today, while at the same time providing an evocative record of the times in which they were made. We are delighted to be partnering with Network on this series and look forward to making a wide range of interesting and exciting television drama available once again to audiences both old and new. 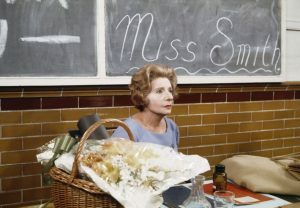 For further information please see the Forgotten TV Drama Blog. The Frighteners is available to purchase now via the Network website.